A booming economy and companies’ own efforts to try to Amazon-proof their businesses are spurring strong sales at chain stores. 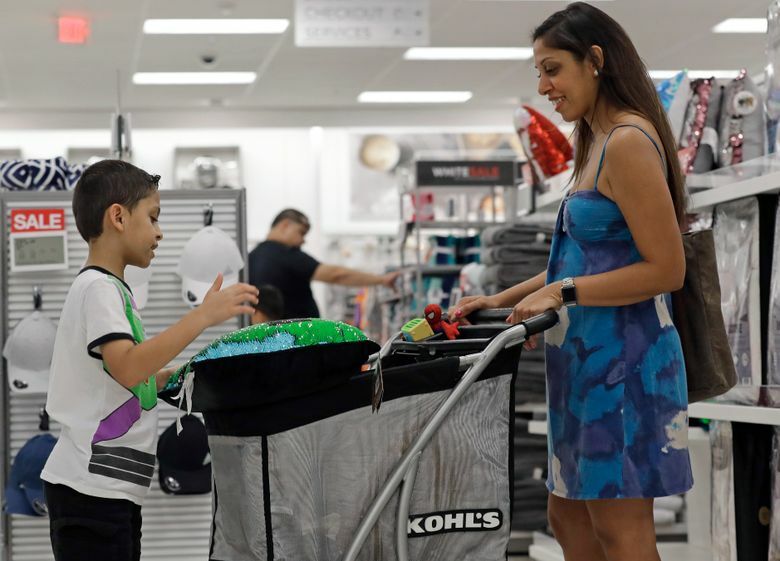 NEW YORK — The retail business isn’t dead for Home Depot, Kohl’s, Best Buy or Target. Many traditional chains have posted strong sales, both online and at stores, as people are in a mood to spend. What’s driving it? A booming economy and companies’ own efforts to try to Amazon-proof their businesses. That means making their stores more pleasant, updating their websites and speeding up delivery. The bounce is a welcome reprieve from talk of a retail apocalypse that flourished after a spate of bankruptcies. Plenty of stores are still struggling, particularly mall clothing chains like Victoria’s Secret and department stores like Sears. So is it the start of a sustainable revival? Here are some of the main trends right now. Shoppers are spending more freely in an economy that has recently grown at the fastest pace in nearly four years. Unemployment is near an 18-year low. Average hourly wages rose 2.7 percent in July from a year earlier. “There’s no doubt that, like others, we’re currently benefiting from a very strong consumer environment, perhaps the strongest I’ve seen in my career,” Target CEO Brian Cornell told investors. Target saw sales at established stores post the strongest growth in 13 years. Customer numbers in stores and online had their best showing since at least 2008. Walmart similarly posted the largest increase for same-store sales in more than a decade. Best Buy had its biggest second-quarter same-store sales boost in 15 years. These three retailers, along with Home Depot, Lowe’s, Kohl’s and others raised their outlooks. Stores are catering better to time-conscious shoppers with delivery and pickup services that take advantage of their store networks. Walmart has curbside grocery pickup at 1,800 stores, and is expanding its pickup towers, which serve up items ordered online within seconds. Target says it has reduced the wait time for curbside pickup to 2 minutes. Target has also found where it’s testing same-day delivery for store shoppers that the average basket size is more than $200, the highest of any service it provides. Though Walmart has dropped mobile checkout at its namesake stores, others like Macy’s and Kroger are embracing it. Urban Outfitters says more shoppers than it expected are using self-checkout at its store in Manhattan’s Herald Square. “It’s all about instant gratification,” says Faith Hope Consolo, chairman of Douglas Elliman’s retail group. Stores are trying to make it easier to browse and discover products online as a way to compete with shoppers accustomed to Amazon. Walmart overhauled its website with a special emphasis on fashion and home goods, and has special sections dedicated to Lord & Taylor as part of its partnership and for the outdoor brand Moosejaw it bought last year. Consolo cited Nordstrom and Bloomingdale’s as others that have made their sites easier to shop. “Retailers are putting together an internet-friendly site that’s easy to navigate,” said C. Britt Beemer, chairman of America’s Research Group. Shoppers are responding to the brands that stores have developed to differentiate themselves — and which have better profit margins. Target has been aggressive here, particularly in clothing and home goods. Cornell says these brands are attracting new customers, and the children’s clothing brand Cat & Jack generated $2 billion in sales one year after its launch in 2016. Macy’s hopes to have its private label and exclusive brands account for 40 percent of the merchandise it offers in the next few years, up from about 30 percent. And Kohl’s teamed up with media company PopSugar on a clothing collection that will hit next month. 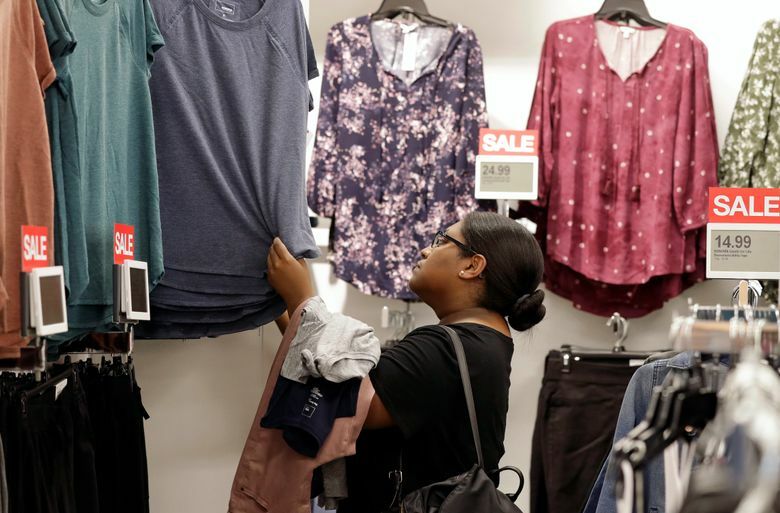 “The department stores that have a clear strategy and vision are going to be the clear winners,” said Greg Petro, founder and CEO of First Insight, which helps retailers set prices.